I’m starting a new weekly thing here on the blog: Writer Wednesdays. Ever since I started writing and publishing gay romances, I’ve met new authors looking for advice. Hell, I was an author looking for advice not too long ago. Now that I’ve self-published eight (nine in a few days) books, I figured the time has come to give back a little, so every Wednesday, I’ll share some advice on writing and self-publishing MM romances. 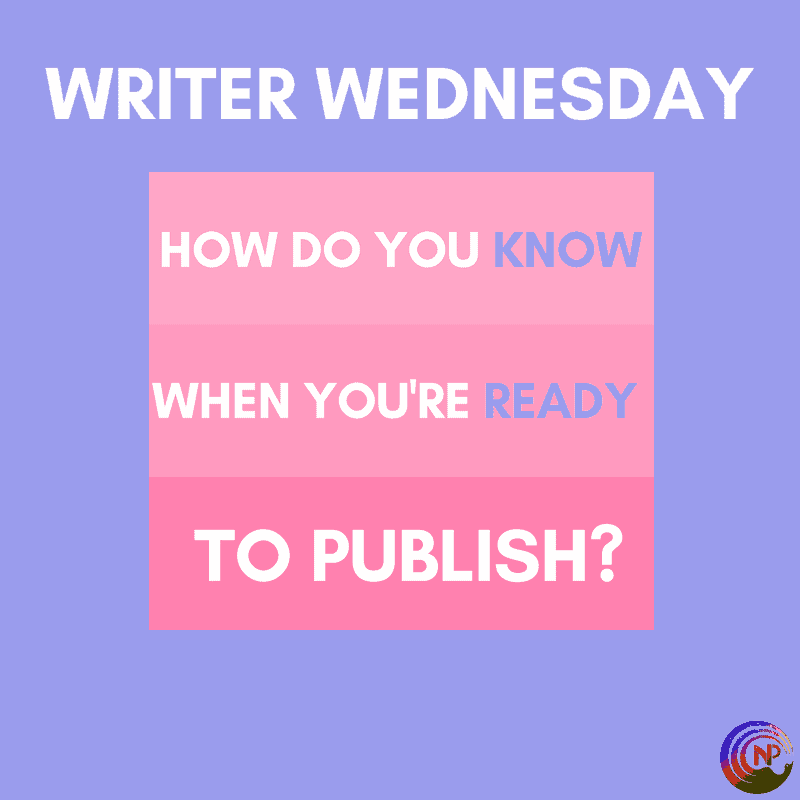 Today, we’ll kick things off with some thoughts on when you’re ready to publish. I can only speak from my own experience or share what I know from others. My experiences are in no way representative or indicative, since everyone’s situation is different. In other words: there’s no such thing as a guarantee. I write and publish MM romances (or MMM+) and within MM, i have a few specific subgenres, notably mpreg and steamy contemporary. Again, what I share has worked for me (or not) in those genres, but may not work in different genres or even subgenres. I can’t speak about traditional publishing, at least not in this genre. I’ve traditionally published in a completely different genre, but that experience is completely irrelevant to what I do now. I wholeheartedly believe in self-publishing, so that’s what I’ll advocate and what I’ll write about. That being said, let’s dive in to the first topic I want to tackle: How do you know when you’re ready to publish? A question that aspiring authors ask often (and that they should ask) is this: how do you know when you’re ready to publish? It’s not an easy question to answer. Let me share a little about my story. I published my first MM romance in October 2017. That means I’ve only been doing this for seven months…you’d think. In reality, I’ve been writing for years. 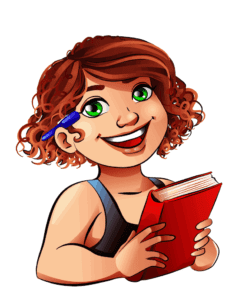 I started writing as a teen and I never really stopped, though for a long time it was more of a hobby. In 2011, I started writing more seriously, and I read books on the craft of writing, followed a whole bunch of blogs, became a member of a critique group, and most importantly: I wrote books. Before I published my first gay romance, I had written at least twenty books, I think. Not all of them were finished, but I think maybe ten or so were. Still, they weren’t good enough to be published yet. I knew that because I kept getting critical feedback whenever I asked for a critique, when i asked friends to read it, etc. I kept working at my craft and in 2017, I started writing full time. That made a big change, as I was able to fully focus on writing, and in doing so, improve to the point where I felt I was ready. Still, I waited with publishing my first book (No Filter) until I had book two and three all but done, ‘because I wanted to be able to publish the other books in the series quickly. I also wanted to make sure I had the necessary platform so I could actually sell my books. you have a finished book. If this seems too obvious, you’d be surprised at how many authors announce they’re publishing a book before it’s done…and then never manage to finish it. Starting a book is easy. Finishing is can be damn hard. you have a solid grasp of writing concepts like point of view (POV) and POV mistakes, the difference between scenes and chapters, storytelling concepts like tropes/conflict/dialogue/raising the stakes, etc, main tropes in your genre, formatting dialogue, punctuation and grammar in general, to name a few. your book has been seen by a fellow author, an editor, or an experienced beta reader and he/she/they agree(s) you’re “good enough” to pursue publishing. I cannot stress this part enough. Don’t rely on friends and family here. Ask someone who knows what they’re talking about and ask them to be brutally honest. Nine out of ten times, if what you’ve written is your first time writing, you’re not ready yet. Give yourself some more time to learn and grow and improve your craft. you have established somewhat of a platform in your genre, meaning you have a social media presence, a website, and preferably a newsletter. We’re not talking big numbers here, but if you haven’t even started making connections in your genre, you may need to wait a while. you have done research into self-publishing and know generally speaking how this works. I’m talking about aspects like going wide or going into KU (Kindle Unlimited), whether you want to use a pen name or not, how to upload a book onto various platforms but Amazon especially, how to write a blurb, basics of book marketing, etc. Do your homework. you have the funds to have your book professionally edited. If you can’t afford editing, wait with publishing. The only exception may be if you have an exceptional good sense for grammar, but even then…we’re blind to our own mistakes, so editing is crucial. you have the funds for a (semi)professional cover. this won’t cost you $500, seriously, but you need to have a cover that fits your genre and will draw in readers. This list is by no means extensive, but it’s a general idea of where to start. If you’re feeling super overwhelmed by now and ready to quit…don’t. This is how we all started…and those of us that persevered, never regretted it. There’s tons more, but these are a good place to get started!